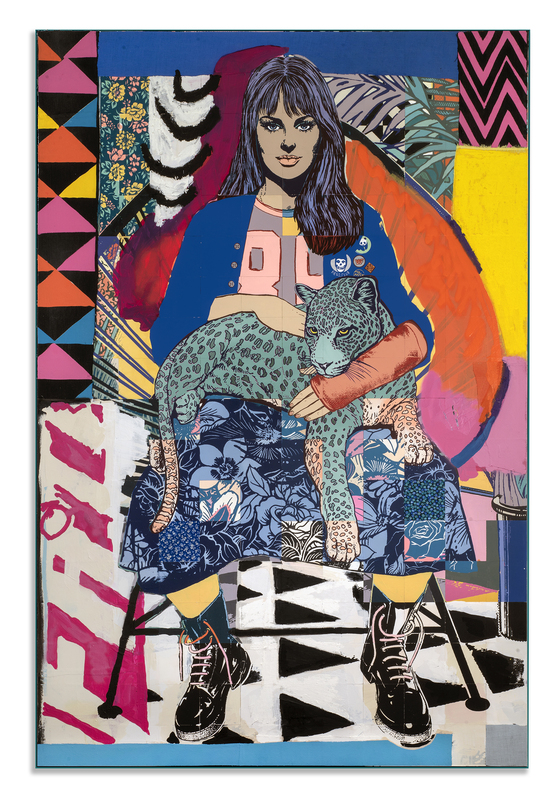 For twenty years, FAILE has been a call and response between extremes—the splash and surface of Pop and the sanctity of the spiritual; the high finish of the studio and the hurly burly of the city; a New York sensibility and a global outlook. 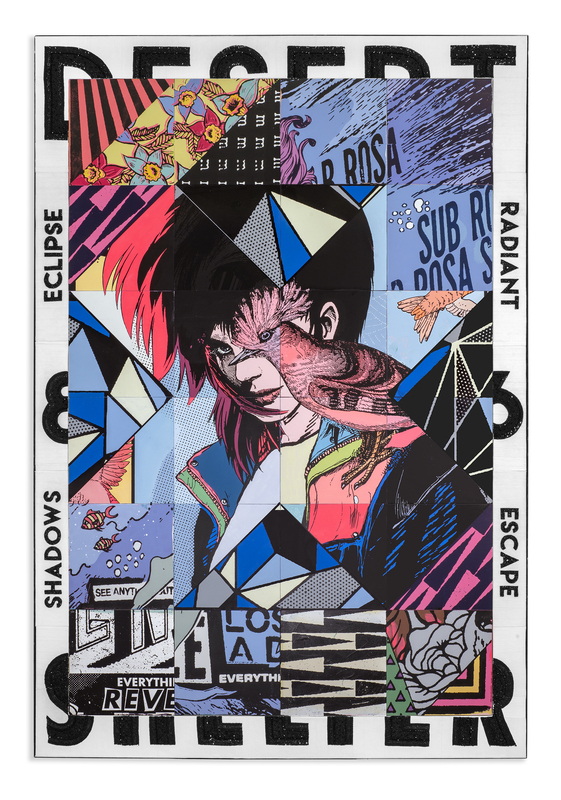 Most of all, FAILE has been an ongoing conversation between its two principals, Patrick McNeil and Patrick Miller, whose immersion in the worlds of design and street art animate the dualities and insouciant contradictions for which they are known. 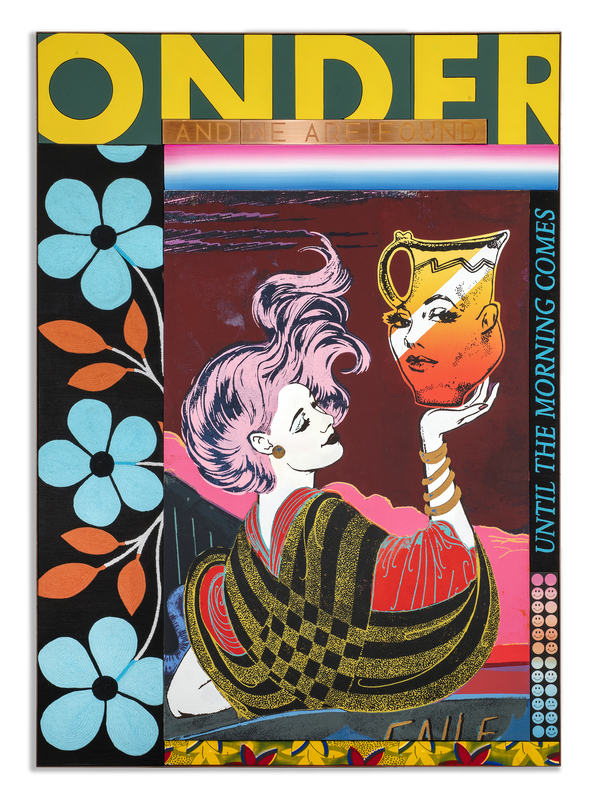 Two decades in, their current show Where the Ends Meet charts where FAILE has been and what lies ahead. 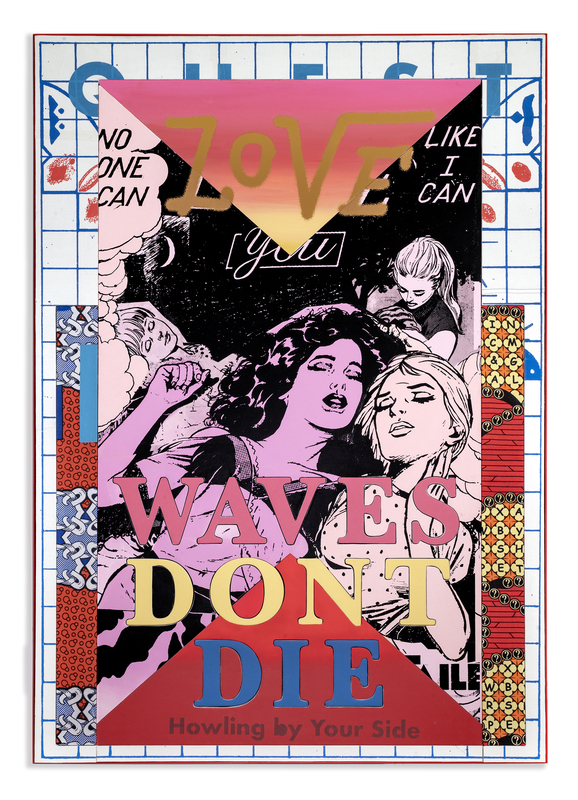 In this suite of nine new multimedia paintings and a dozen works on paper, elements of a varied career abound, from the nostalgic Americana of rock’n’roll posters and graphic tees to a cast of iconic heroines and their exotic bestiary. 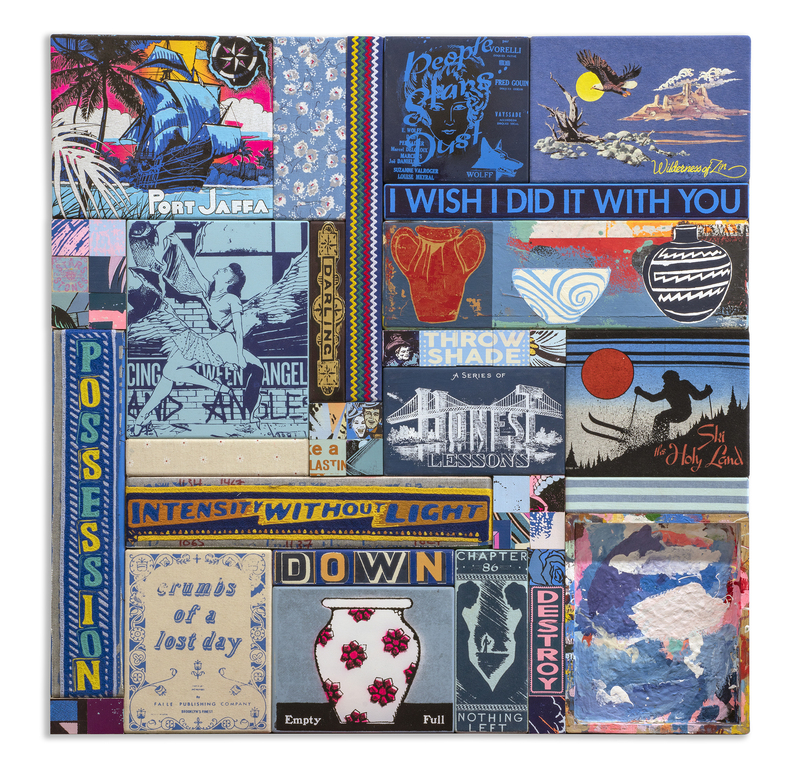 Familiar too is the density of pattern and text inspired by the entropy of the urban walls where FAILE first made their mark. A tactile accretion of imagery evokes layered posters and clandestine stickers, the improvised, patchwork surfaces of daily life. They all coalesce in quilt-like compositions awash in incandescent color. This is an aesthetic borne of the golden age arcade and FAILE’s own Deluxx Fluxx nightclub in Detroit, in all of its black light and neon grime. But Where the Ends Meet is also a record of slower kinds of work. A craft materiality abounds here, in delicate beadwork and embroidery, or the lustrous heft of the printer’s plate. 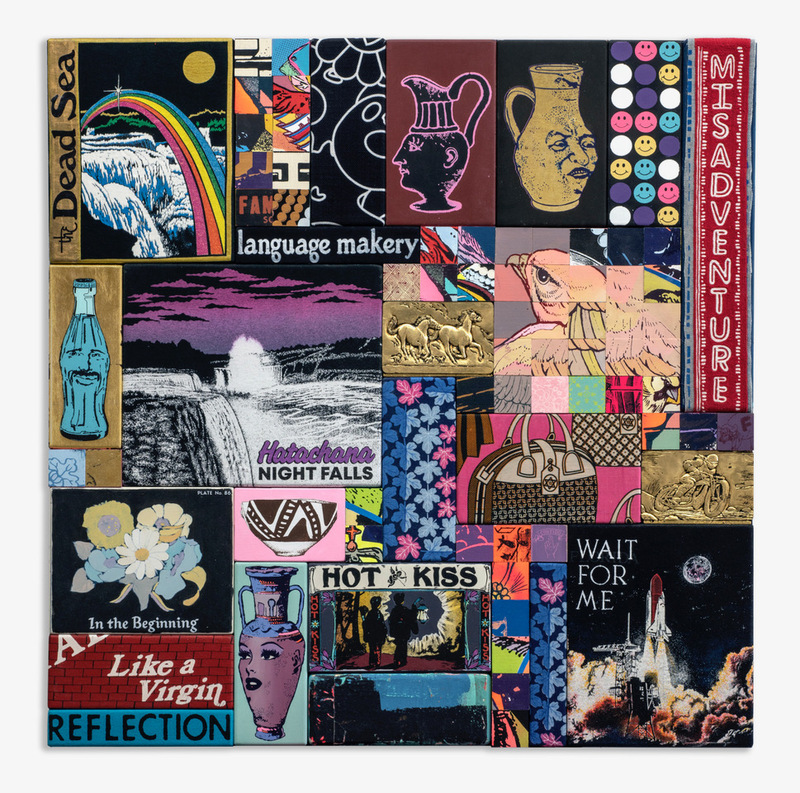 Even more, FAILE reflect here a thoroughly 21st century kind of seeing—the incessant documentation of the smartphone and the endless indexing of “inspiration” and “taste” on social media platforms. 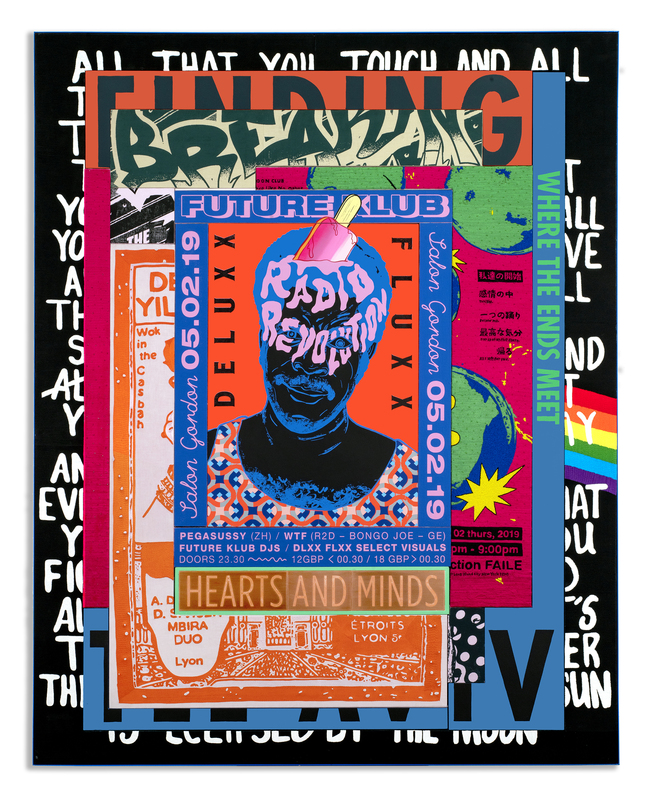 This interest in the phenomenology of the phone, the ontology of overstimulation, puts FAILE in dialogue with contemporaries such as Laura Owens and Alex Da Corte. How to picture a world in which most people’s field of vision is more open browser tab and overlapping OSX windows than patient observation? Can our fluid jostling between device and “IRL” be put to use as a form of artistic creation? Where the Ends Meet answers these questions through pieces fashioned iteratively—source material is relayed through the camera, the desktop, and the workbench in a generative back-and-forth. As always, these headier impulses are counterbalanced by a sense of play, and FAILE has long been known for works that reward their audience’s youthful enthusiasm. In earlier shows, you could spin a prayer wheel, try your luck at a round of pinball, or feel pangs of memory brought on by elaborate wooden puzzles. 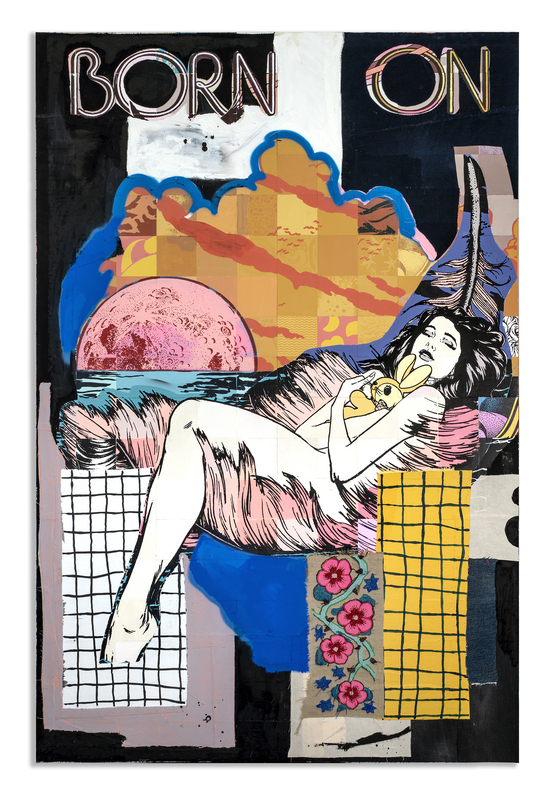 In Where the End Meets, new and old elements of FAILE’s process are drawn together. The modular blocks of their works on wood give way to carefully calibrated, interlocking layers that telescope into three dimensions and rest on rough-hewn supports. These are sublimations of kitsch, but also sculptural forms that push the boundaries of contemporary painting. In spite of FAILE’s apparent virtuosity, they are ultimately guided by the same spirit of irreverent curiosity. 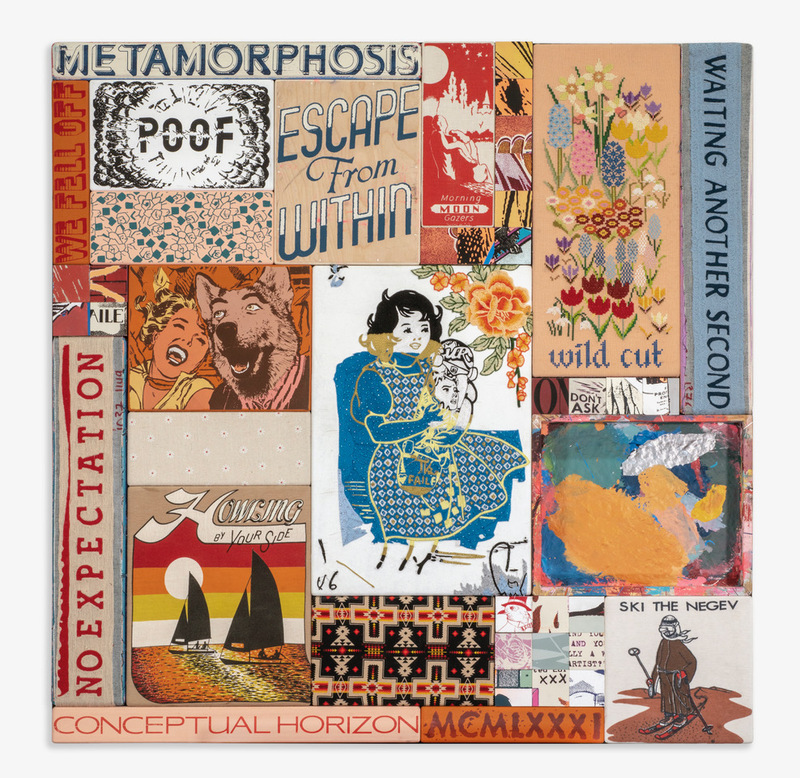 Longtime fans will resonate with a slate of work on paper, which celebrates FAILE’s roots in flypasting and print culture. The new set pulls back the curtain and reveals deep cuts of visual material from the studio that have rarely appeared in exhibitions. These “B Sides” and small panels throughout the show carry on the FAILE tradition of arch subversion, walking the line between sacred and profane. Traditional ceramic vessels and Warholian coke bottles smile back at us, wry self-portraits of a duo who know their history but are deeply sensitive to the world beyond the frame.